Trust Bergen air Conditioning to help you fix all your air conditioner problems. We provide expert air conditioning repairs thanks to our NATE-certified hvac technicians. Being NATE-certified implies that we have the skills, tools and experience to fix any HVAC problem. Therefore, whenever you need your air conditioner repaired, or even replaced, contact us to schedule your repair appointment. We provide specialized air conditioner repairs and maintenance for both commercial and residential customers throughout North New Jersey. Our competent team of experts offers unrivalled air conditioner repair services. Essentially, air conditioners work by transferring heat from indoors to outside thereby cooling the air. There are various types of air conditioners available in the market, each with its own unique way of controlling temperature. At Bergen Air conditioning, we can repair any type. We not only use high quality products, but also use the latest technology making our services the most reliable in the region. All our contractors are chosen on merit, yet they still undergo a detailed background-screening procedure. Besides, we are fully insured and licensed in air conditioner repairs, installation and maintenance, for all brands of air conditioners. We charge a competitive price for all the air conditioning repair services we provide. Take advantage of this and save a lot of money while at the same time getting top quality service. We also have a wide range of budgets to suit the financial abilities of various people. 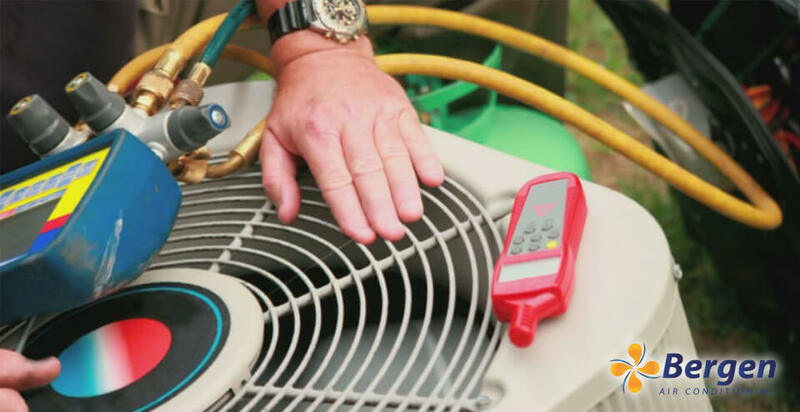 Having been servicing all types of air conditioners for the past 30 years, we have the knowledge to get your air conditioning unit running in the shortest time possible. We have the know-how and expertise to professionally and perfectly repair various types of air conditioning systems. Every service we provide receives a complete written report as well as a free service pack, including energy saving tips and a chance to air your feedback.